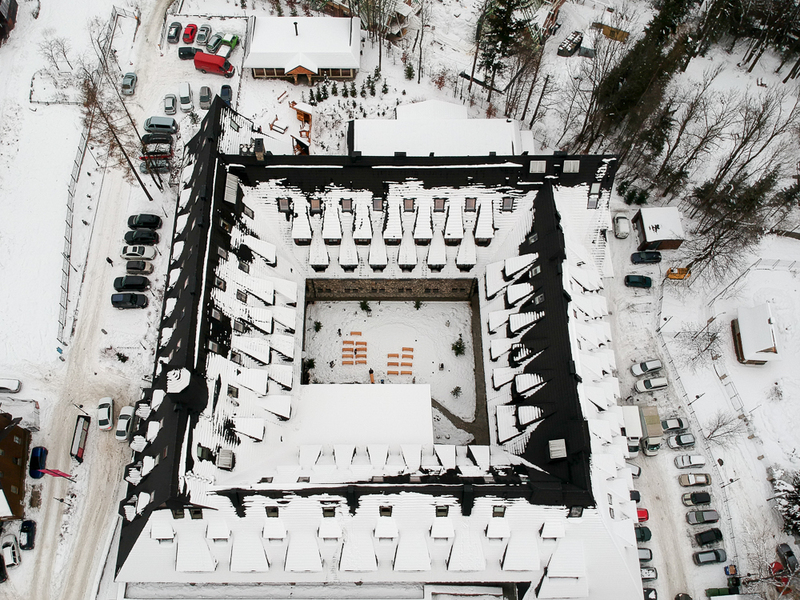 There is only one Polish Winter Wonderland at this time of the year ( at least in 2017), and it’s undoubtedly a small resort town in the extreme south of Poland, Zakopane. A well-known destination not only in Polska, but in the Eastern part of Europe. Its sights, cuisine and attractions engage tourists at every season of the year, but we decided to head there just before Christmas. To feel the vibe and to enjoy the snow, as it seems to become a rare atmospheric phenomenon at the beginning of December in Poland. 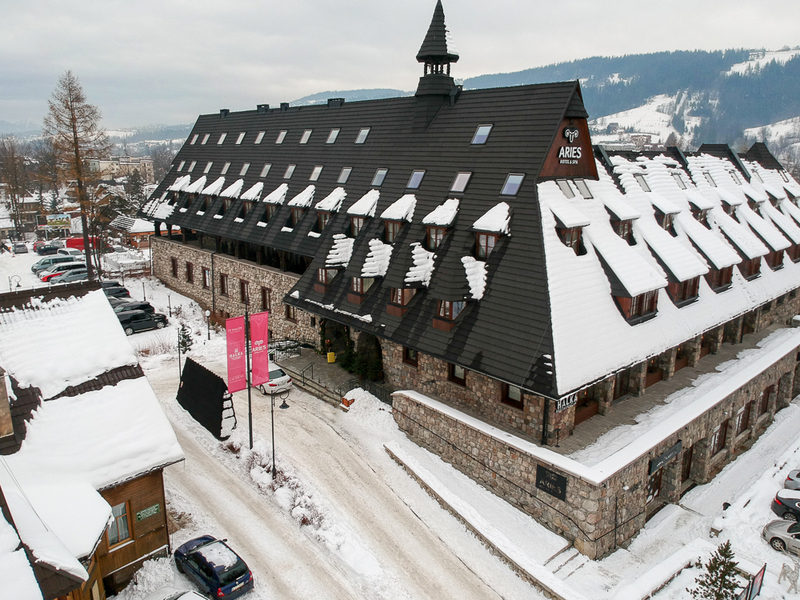 Zakopane is a center of ‘Góral’ culture and is also informally named as the ‘winter capital of Poland’. I think it is a must-see on the map of Polska, especially if you are after getting to know the culture, as ‘Górale’ ( this is how we call the citizens of Zakopane as well as everyone from this part of Lesser Poland, Podhale) are known for having their own habits, music, costumes, cuisine and even the speech. Their language is Polish, but with a slightly different pronunciation. 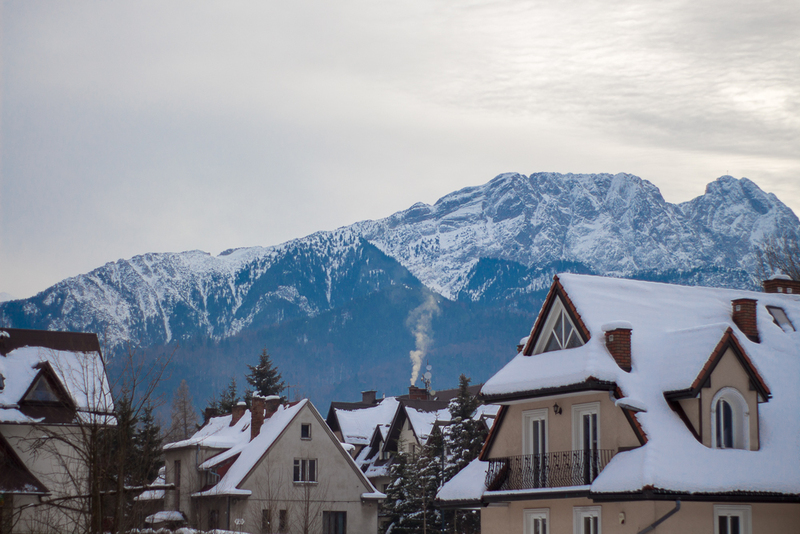 Zakopane is visited by over 2,500,000 tourists a year – must be for a good reason, huh? The town is especially popular during Christmas holidays, which are celebrated in traditional style, with decorated horse-pulled sleighs called ‘kuligs’ and delicious food. 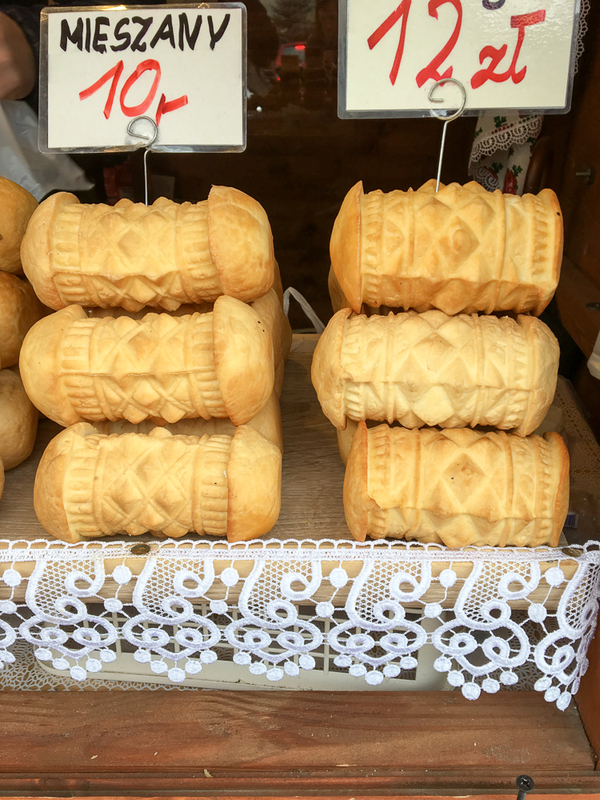 As for the food – don’t forget to get the famous smoked sheep cheese called Oscypek. In my opinion, it tastes the best as grilled with the cranberry jam. 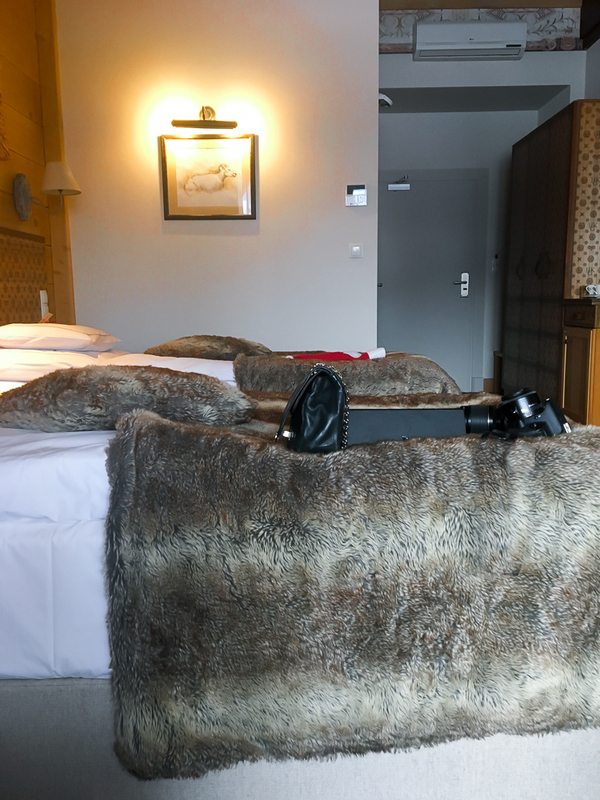 Initially, we were in search for a cosy, but luxurious place to stay. 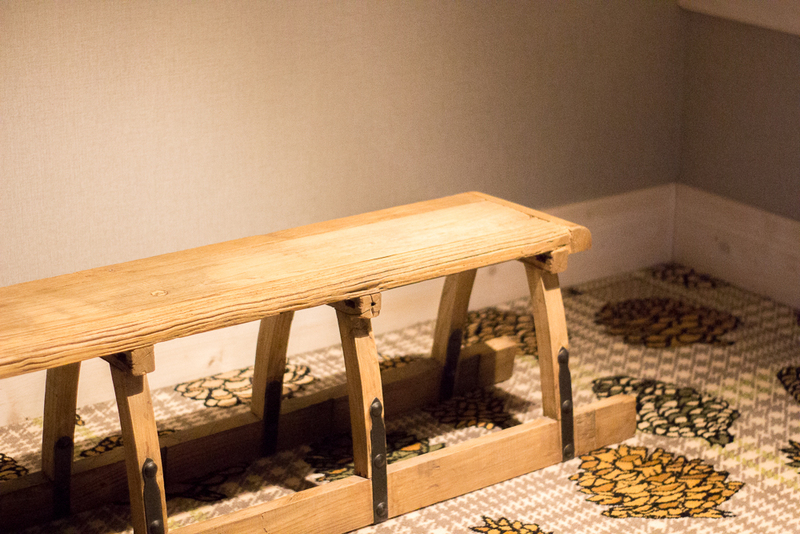 Something that corresponds to the vibe of the city, but with an extraordinary interior. 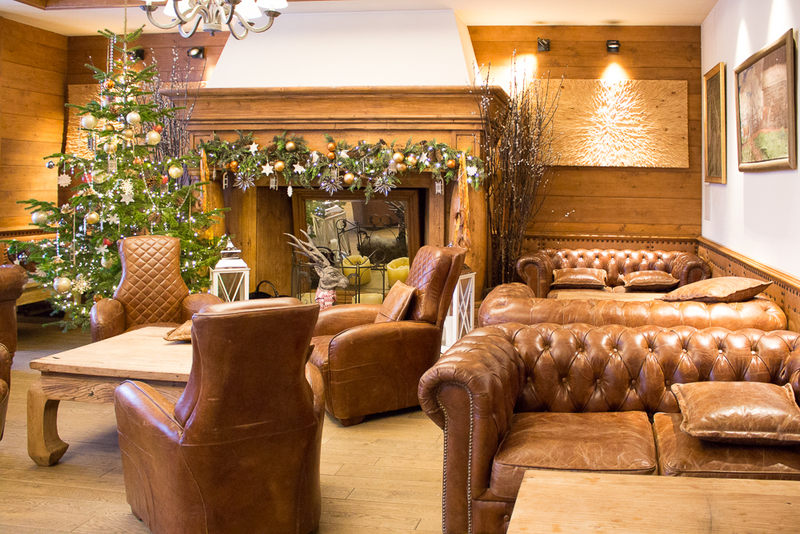 Aries Hotel & SPA, a property located just in the heart of Zakopane, fulfills our requirements in hundred percent. 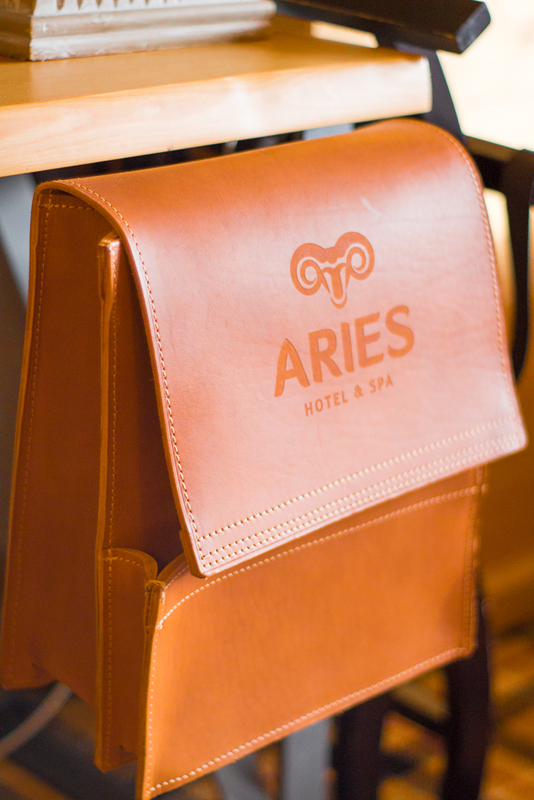 Aries Hotel & SPA, was previously used as the so-called ‘tourist house’ back in the communism period. Its interior and exterior still correspond to this particular timespan – with the left-over walls covered in fresco and the colors of the building. The interior draws upon Alpine, the 20’s, the 50’s as well as the Polish highland-style, which makes it quite of a mixture. The SPA in Aries Hotel & SPA, contains of 9 professional Dr Irena Eris cabinets, including the VIP rooms for couples where they are able to get the real Thai massage experience. Apart from that you can get your hair, nails and make-up done ( New Year’s Eve option? ), all performed by the well-trained Dr Irena Eris beauticians. 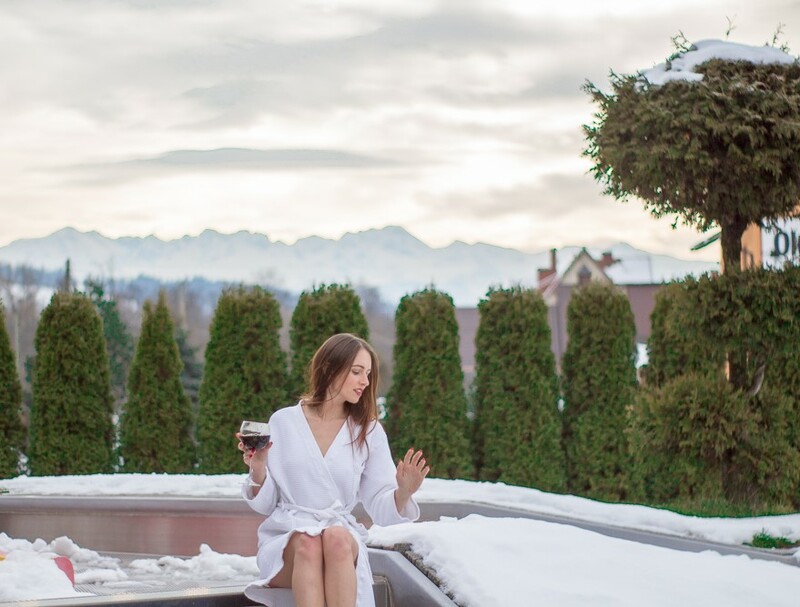 To me, the real ‘bull’s eye’ is the wellness zone – with the swimming pool, wooden saunas to the hot tub overlooking Tatra Mountains, you can be sure you will get the best possible experience of your stay. 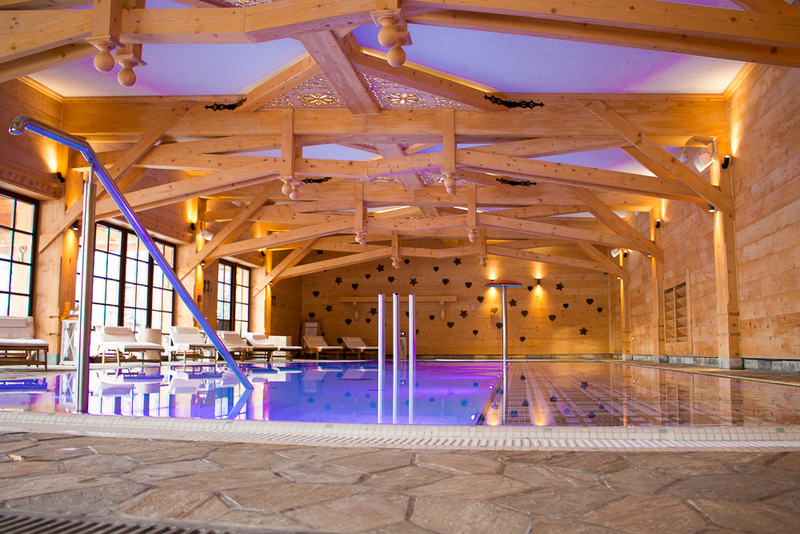 Termy Szaflary (Thermal Water Pool and SPA Center), located around 17km away from Zakopane, was undoubtedly the great ‘rest experience’ we were looking for. 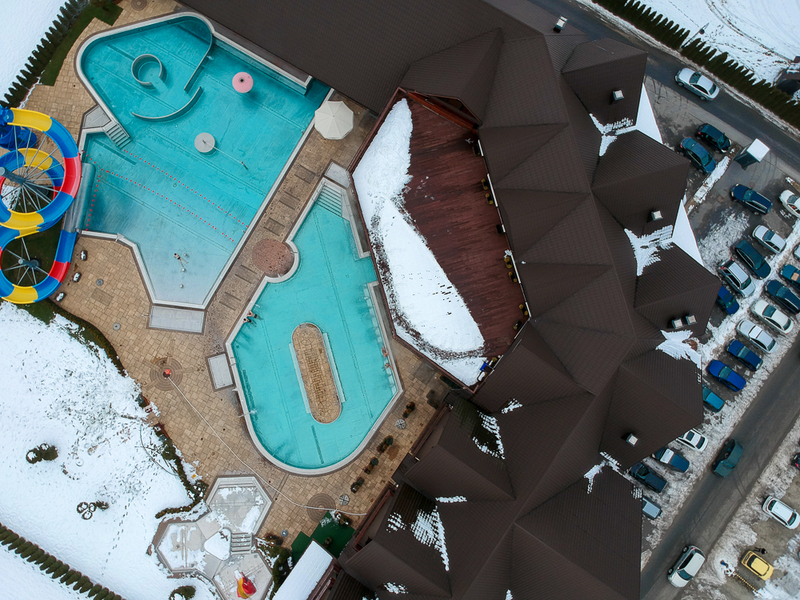 The resort contains of 4 thermal pools, including the outside area with a panoramic view of the beautiful Tatra Mountains. 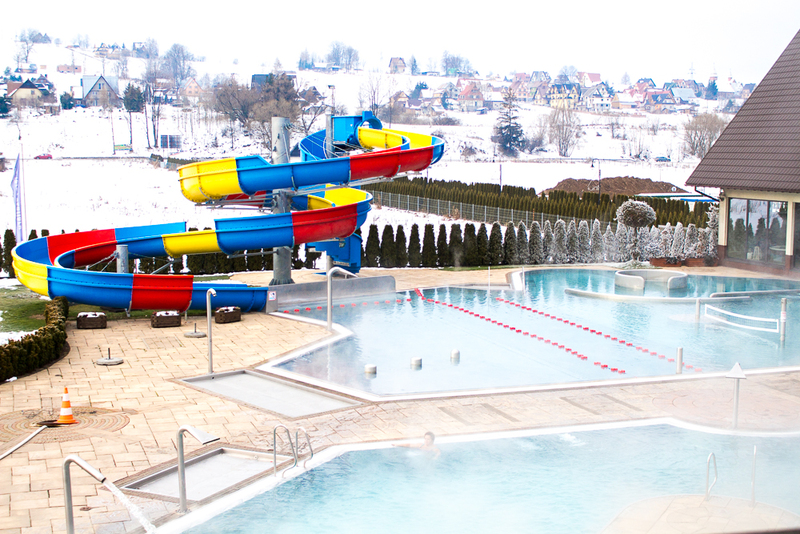 It is important to mention, the water from the pools is known as the best mineralized in the whole Podhale region, and Termy Szaflary is the first thermal-water pool center in the area. 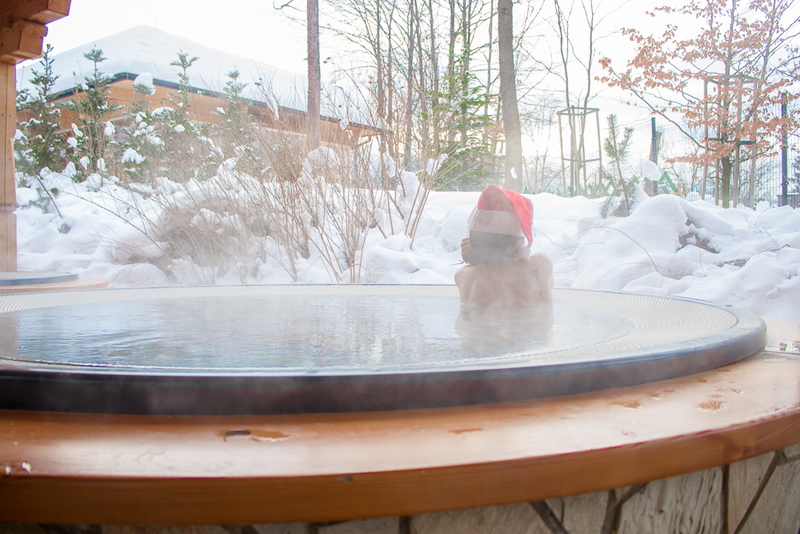 Apart from the pools, you can also enjoy several saunas, including herbal sauna and the so-called ‘infrared sauna’, ideal for the ones struggling with the heat. The SPA zone features several rooms where you can relax under the supervision of the best qualified masseurs – you can choose from power, relax and beauty massages. For the couples – it might be worth to have a look at the romantic stay-package Termy Szaflary is offering. Apart from the stay, the offer includes a romantic dinner, sparkling wine in the room, breakfast and some unforgettable moments in the resort. In general, Termy Szaflary is a quiet and peaceful place, at least in comparison to the wild resorts all around the Podhale region. 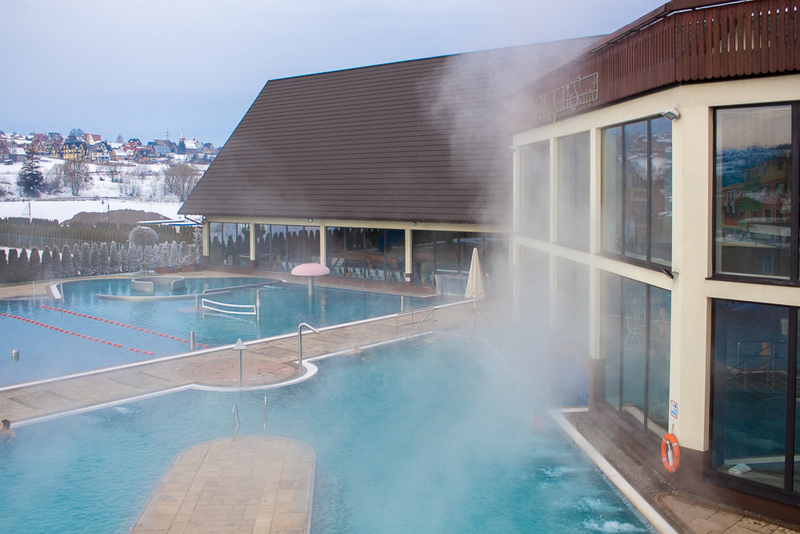 You will definitely be able to relax while enjoying your thermal baths. 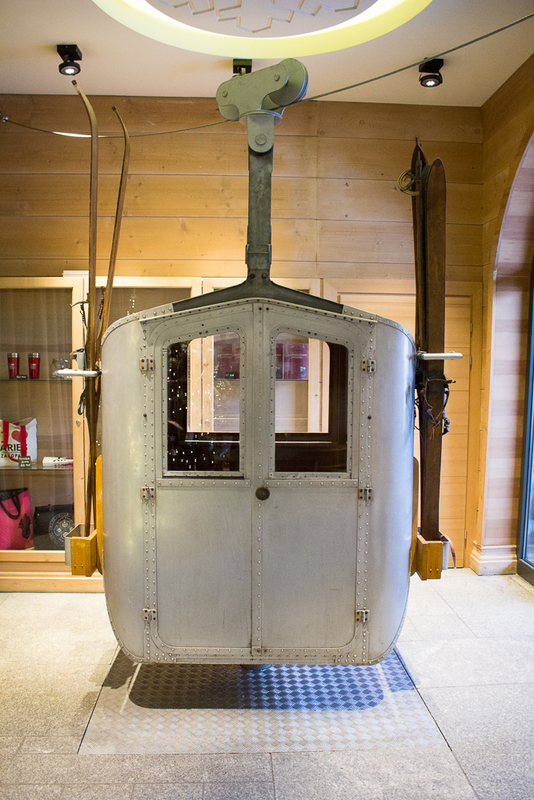 I would suggest it might be a good idea to spend the night before or after you visit Zakopane. 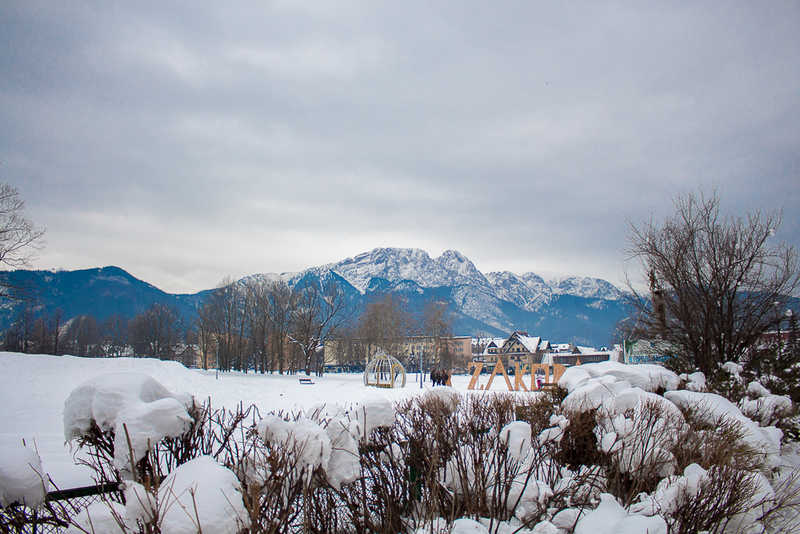 Im truly in love with Zakopane! Im sad, Im so far away from this place right now..
Amazing photos. Interesting design by the pool. That outdoors pool and hot tub ? Wow, it looks like an amazing hotel for winter break! Wow! I would love to stay here! Looks beyond amazing! Wow this truly is a winter wonderland… great photos! Oh, what gorgeous photos. And I love those slippers, they look so warm. Looks amazing and the scenery is gorgeous! Did you get out in the mountains? It looks like a great place to explore the natural world and come back for a nice warm soak and a hot meal. I am totally obsessed with all of your photos! This looks like a winter dream! What a luxurious and relaxing retreat! I would love to visit. Love this! It does look like a winter wonderland and the hotel looks gorgeous too! Wow it looks like you had a wonderful time! This place is the perfect getaway for sure 🙂 I will keep it in mind for my bucket list! Ohh, it truly looks like a winter wonderland. I love all your pictures, really beautiful winter impressions! Looks like you had a lovely time. I would love to spend the holidays in the snow one year. Southern California has a very different holiday vibe! Great experience! Thanks for sharing! Looks like such a relaxing place for a winter getaway!